Regardless of the many jewelry trends that have come and gone, I have, and probably always will be, the most drawn to the statement necklace. It’s the quickest way add a bit of pizazz and personality to an ensemble, and has the ability to transform the most casual look into an elevated one. Though I’m definitely partial to wearing them with high necked tops (I think it allows the baubles to pop most effectively), wearing them under the collar or with a scoop neck work equally well. Here are some current favourites that have been on repeat for the last little while. 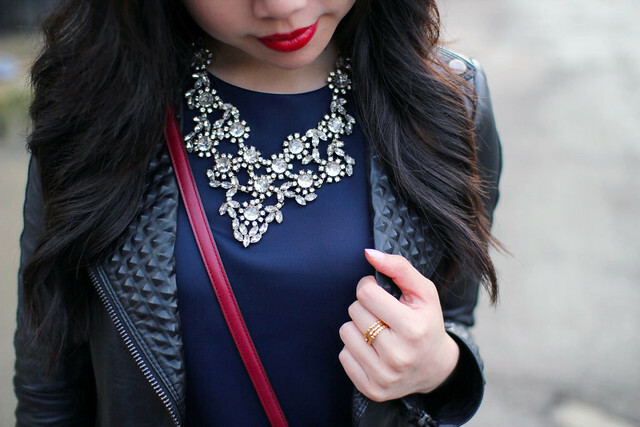 I’m so into statement necklaces, they make my world go round! You have amazing pieces. Ooh, I love #3 a lot! I’m so picky when it comes to necklaces, I don’t even own a whole lot of them! 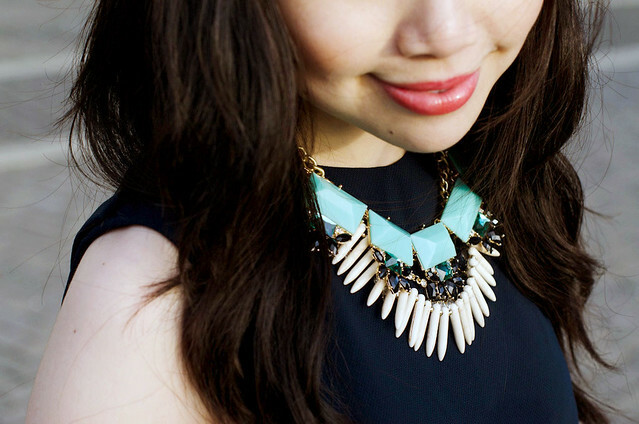 I recently discovered how gorgeous statement necklaces are. Before I always thought they were too bulky and heavy, but seriously… sometimes all it takes is the right statement necklace to add the perfect enhancement to any outfit! Love these!! Thanks for sharing! Amazing necklaces! Love the first one! I absolutely love all of your statement necklaces! Can’t ever go wrong with the right necklace! 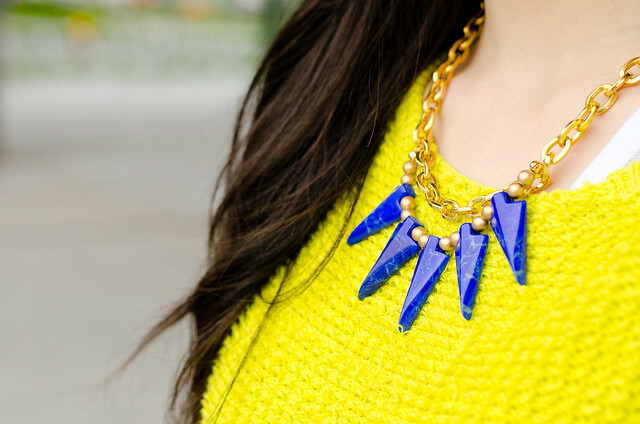 You have an amazing array of statement necklaces and that knack of pairing them with outfits.